Recently TrekkSoft migrated to new servers which are faster and more versatile. This allows us to continue to grow and improve many aspects of the services which we provide to you and your customers. However, with this change in servers, we now have a new IP address which you will need to update your domain registration, making sure that you can continue to benefit from these improvements. How to change the DNS settings yourself? 2. Locate the domain which you have mapped with your TrekkSoft website. 3. Choose Manage DNS/DNS, to edit the existing DNS settings for that domain. 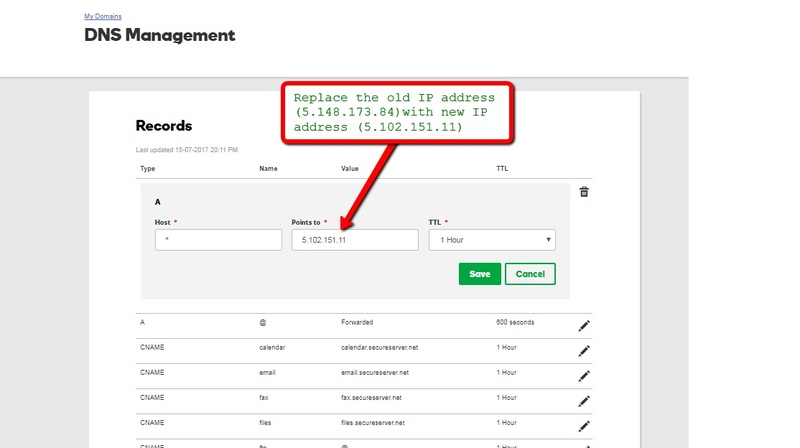 If you face any issue in implementing this task, please contact your domain registration support and request them to replace the old IP address (5.148.173.84) to the new one (5.102.151.11) for A type DNS records for the mapped domain to your TrekkSoft website. Here are some screenshots showing how you can Manage DNS settings inside the control panel. The example is taken from the domain registration platform GoDaddy. If you are unsure of how to map your domain yourself, you can fill out this form and one of our specialists will do everything for you. Please let us know if you have any more questions on how to migrate your domain registration.